Well they can buy more MiG-29K's, newer structure, newer technology and surely can last longer. Anyway i agree that upgrading Su-33 would be hmmm inexpedient. It can however be given mid-life update so it will remain relevant like Su-27SKM but no.. it won't be more advanced than MiG-29K's unless some deep surgery be done to the airframe. Won't be economic especially given that Su-33 weren't produced in the number of land based Su-27S's. If such heavy fighters are needed however.. Ru Navy might might better off with restarting Su-33 production line. They don't need both of them - either one or the other, having them both is a waste of money. You could argue they don't need Mi-28s and Ka-52s... but they have both and they are different enough to be complimentary. I would say the same with the Su-33 and MiG-29K2... certainly they don't need both but both have been developed and the latter paid for already. It might make sense if those Su-33s were modernized for assignment to non-carrier duties. the Su-33 is larger and heavier and would have better range and with its main wing and horizontal tail surfaces all folding as well as its nose it can actually fit in similar sized places that a MiG-29K can fit so the hangar space argument is not as significant as some might make it. The real difference is that the MiG-29K is fully multirole, while the Su-33 is an Su-27 that can carry Kh-31s and Kh-35s. The MiG-29K also has fewer hardpoints, is not compatible with the Yakhont and possibly the supersonic Kalibr-variants and yes - it doesn't have canards and thus has a disadvantage in turn-radius and manuevers. Su-33 can't carry Yakhont either... AFAIK the only Flanker that has been seen firing Yakhont is Su-34. Both the Su-33 and MiG-29K are limited to 8gs because of their folding wings. The only advantage, of the MiG-29KR, over the current Sea Flanker was, that it is a multirole fighter and nothing more! So the fact that the MiG-29KR is a better fighter and a better bomber means nothing? My only hope is that they still plan to go ahead with MiG-29K introduction, but want to modernize and keep around a few Su-33s in the carrier air-wing for the long-range missions. I guess such an idea has its value too. An upgrade will always be cheaper than new builds, plus they already have plenty of operational experience with Flankers. I suspect they primarily want compatibility with the R-77 and other newer weapons... the Su-33 is not able to carry most of the new weapons deployed by the Air Force and Navy... it is basically a bog standard Su-27 with R-27 and R-73 for air to air and dumb bombs and dumb rockets and cannon, plus Kh-31 and Kh-35 for air to ground. I suspect an upgrade to the radar to actually detect and track sea surface targets and ground targets and to use laser and TV guided air to ground weaponry is the priority... plus digitalising all the systems will make them easier and cheaper to maintain. This wont be a naval Su-35 we are talking about... it will most likely just be an Su-27SM upgrade we are talking about. TR1 wrote: We have seen them (company MiG-29K and MiG-29M2s, as well as Navy K/KUBs) flying around with Kh-31 and Kh-35. Meanwhile the Klub container has never been seen outside of airshow plastic models. Has the Klub really been seen much of anywhere at all, as part of any weapons system or launcher? Outside of brouchures, plastic mock-ups, promo videos and the like I mean. Remember it's a pretty new weapon, and a very potent one - they might not too eager to show it off to the public, nor will they neccesserily be in a rush to press it into service - albeit I think it's inevitable that they will do; and for all platforms - ship-launched, sub-launched, air-launched & ground-launched. ...Or they might not be ready to rush a weapon system in to service if there's a potential major improvement in capability on it's way. Considering that they just recently announced they successfully created hypersonic fuel, and Zircon's development is on the horizon, they might just wait and save money for a scram jet powered Kaliber, kind of like why there isn't any orders for T-90AM/MS because they're waiting for the T-14 Armata. 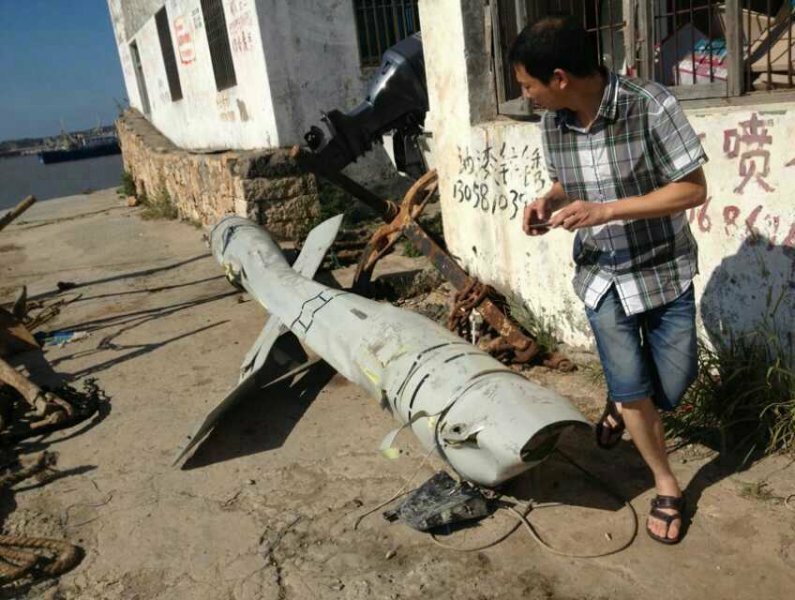 AFAIK, China was testing it, research purposes probably. A batch of Kamov Ka-27 ship-based antisubmarine warfare helicopters will be repaired and upgraded by the Russian Helicopters Holding Company, with the first updated units slated to enter service already before the end of this year, the company press service said Thursday. "The pilot helicopter, equipped with modern target detection and identification gear, has successfully undergone state trials. It is capable of detecting and tracking submerged and surface targets, engaging them with onboard weapons or communicating the obtained data to the fleet. The upgrade of the Ka-27 aircraft will continue through 2016-2017,” the statement said. “Successful modernization of the Ka-27 enables us to offer similar upgrades of the Ka-28 export units currently in use abroad, or offer our foreign buyers the very latest, expanded, version of this helicopter,” the company press service said. MOSCOW, April 28. /TASS/. Deck-based fighter jets of Russia’s Northern Fleet held tactical exercises with air-to-air missile launches over the Barents Sea, Fleet spokesman Capitan First Rank Vadim Serga said on Tuesday. "Pilots of the Northern Fleet’s shipborne fighter jet aviation regiment held flight tactical exercises with the practical launch of air-to-air missiles. The drills were held at the naval aviation’s combat training ranges over the Barents Sea. Several dozen flights by deck-based Su-33 [NATO reporting name: Flanker-D] fighters were performed," the spokesman said. The pilots repelled an imaginary enemy’s attack on a group of combat ships and performed elements of an air fight, the spokesman said. "For the first time in 2015, young pilots took part in the tactical drills. The pilots performed missions both solely and in pairs, wings and groups. Apart from practicing combat training assignments, they developed the skills of flying over the featureless terrain and performed the tasks of crew teamwork in ordinary and complex weather conditions, the spokesman said. The Mi-14 was so good at submarine hunting that in 1996, under tremendous pressure from Washington, all Russian antisubmarine version Mi-14 helicopters were decommissioned. Any more informations regarding Su-33 modernization? So they are after all going to modernize the Su-33. Well the deal with India bying Mig-29K was ok and logically Russians have choosen the Mig because the factory tooling that was made for India... It would take an additional cost overhead to switch to the Mig-29K production, but... Su-33 after modernization would be a true air dominance fighter... Mig-29 with its range and weapons carriage is comparable to the F-18. But Su-33 would be a "weapons truck". Speed, range, number of pylons, radar options.... Mig-29K is a good plane but the original phylosophy arround which it was designed was that it was a front line fighter to be utilized in huge numbers... That you cannot do on sea where you have a single carrier with extremely limited numbers. On sea small groups of planes have to be used and as a result of that greater focus have to be made to make each unit as powerfull as possible. In this aspect Su-33 is the option. It is fast, it is maneuverable, it can carry a lot of weapons and it can carry them very far away + its radar options are better... In this circumstances mixed numbers of types would be the most probable outcome. I could only speculate, but if they equip Su-33 with Zhuk-MS radar and more powerful Al-31FM1 engines, it could still be quite potent multirole fighter. Maybe Su-33 will not serve on carrier, as NAVY receive new MiG-29K for carrier, but its strong undercarriage made it more suitable from ground base operations from more harsh air bases in Arctic. It need less space than MiG-31, so more suitable for smaller air bases. Upgraded ASW helicopter Ka-27M features a new search-targeting system "Kasatka-VB" and new radar created by "Fazotron-NIIR". The new radar, called "Kopio-A", allows circular radar overview with a radius of 250 km from the simultaneous tracking of up to 50 targets and determining their exact coordinates. 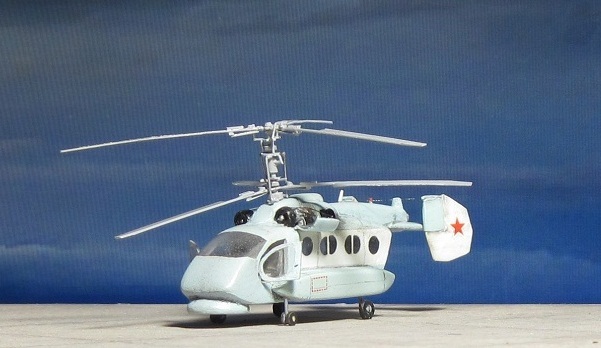 is Mi-14 going to be only land based? or also as ASW deck based? Second batch of Il-38N ordered. franco wrote: Second batch of Il-38N ordered. Good....because the ASW aircraft fleet is in urgent need of an upgrade and probably expansion in numbers. I was reading recently that at it's peak, the USSR had about 100 operational ASW aircraft, while today that number is around 30. SEVASTOPOL, may 30 — RIA Novosti. The su-24 aircraft of the black sea fleet of the Russian Federation forced the destroyer "Ross" U.S. Navy to move into international waters in the Eastern part of the Black sea, as the ship's crew behaved provocative, told RIA Novosti source in law enforcement bodies of Crimea. Earlier it was reported that the USS "Ross" entered the Black sea in the framework of the implementation of the tasks. According to the interlocutor of the Agency, after leaving the Romanian port of Constanta American ship went in the direction of the territorial waters of Russia. The ship went along the edge of the territorial waters of the Russian Federation, his actions were provocative and aggressive. "The crew behaved in a provocative and aggressive, which caused concern to the operators of the tracking stations and the crews of the ships of the black sea fleet, which has carried out its tasks in the Black sea. Raised on command su-24 (su-24MR — ed.) has demonstrated to the American crew readiness to strictly prevent trespassing and to defend the interests of the country. The extra destroyer turned and walked away into international waters in the Eastern part of the Black sea", — said the source. Do you think a productionline of yak141 is feesible? I think it would only be done if there were a need for it in the russian navy. But the navy laks carriers for these aircraft. Unfortunaly they were scraped or sold years ago. A foreign State order would have to be large to cover the cost. I don't think it Will happen. But i do love that plane. EKS wrote: Do you think a productionline of yak141 is feesible? I think it would only be done if there were a need for it in the russian navy. But the navy laks carriers for these aircraft. Unfortunaly they were scraped or sold years ago. A foreign State order would have to be large to cover the cost. I don't think it Will happen. But i do love that plane. China plan to develop VSTOL aircraft for their naval needs and Russia will also have LHDs similar to Mistral, where they could place them. Also those planes could operate from smaller islands in VTOL regime from helipads like Chinese islands in SCS or Russian bases in Arctic islands. On the other hand there is more and more LHDs and smaller carriers around which need VSTOL fighters. Harriers are no more in production and F-35 is extremely expensive. In current situation Yak-141 have export market and potential to be produced in hundreds. Point is, that if China want to develop VSTOL plane, they have to start from the beginning, on the other hand Russia only have to restart the project and finish it. Russia could save a lot of money and time with Yak-141. In other case, chinese plane will take this market. Well maby the Chinese want russian participation in the development of a vstol aircraft, but i don't see a deal Like the su30 likely in the future. Also, there isn't a productionline yet. So the costs are high. The point is the Chinese want selfsufficiency and they won't buy off the shelf aircraft. Although not in large numbers. If the russian navy wants a plane Like yak141, and if there is a effective use for them, i guess it Will be in maby 10 to 20 years, then i think they Will develop a new aircraft based on yak141 tech, Like the USA did. IMO a russian design of a LHD Will first of all serve as a helicopter carrier for ASW (in the bastion defence startegy as they lack the old LHD) and a limited coast attack role. The offshore airdefence role will be met by the naval landbased fighters. The future blue sea airdefence is for the new aircraftcarrier on the designboard. But never say never. The vstol aircraft can operate from a large LHD. They wont be selling the Kuznetsov to anyone... why would they? It is rather unlikely they will reactivate the Yak-141 either... the number of aircraft they want on their carriers (ie talk of 100 in the most recent releases) means they wont be making small carriers, so it makes no sense to develop a VSTOL aircraft. The whole point of VSTOL fighters for the navy is so they can operate fixed wing aircraft from smaller cheaper platforms... if they are building bigger platforms it makes rather more sense to use existing types like MiG-29K and PAK FA as they are fully developed or to be fully developed multirole fighter bombers already. Repair of amphibious aircraft Be-12 in naval aviation of the Russian Navy in Yalta. It seems no replacement is projected in the foreseeable future.